How good is your multimeter really? Or maybe your analog converter needs a good reference? 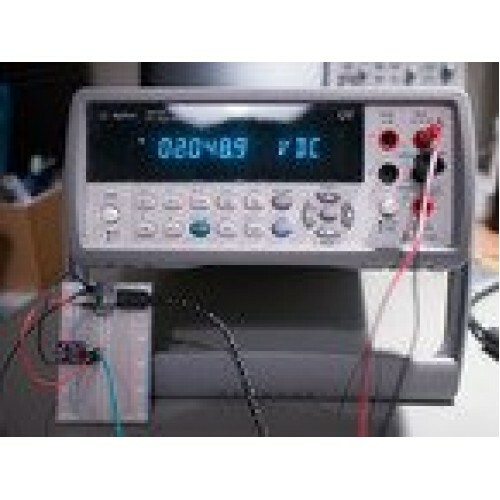 Or lets say you want to test your microcontroller's conversion accuracy & precision. If only you had a dependable, high precision, rock-solid voltage reference. Now you know why we made this very cute and useful little breakout board. 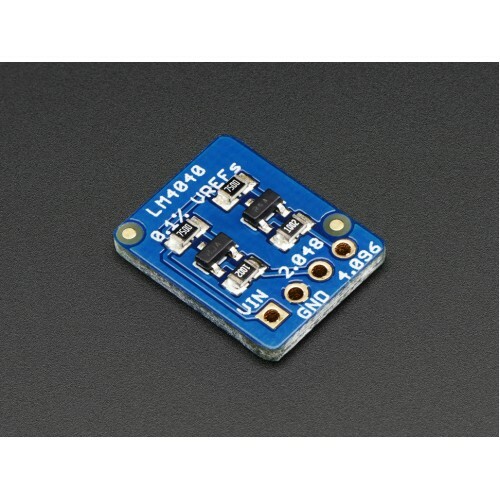 It has two very high precision shunt-type voltage references with 750 ohm biasing resistors. 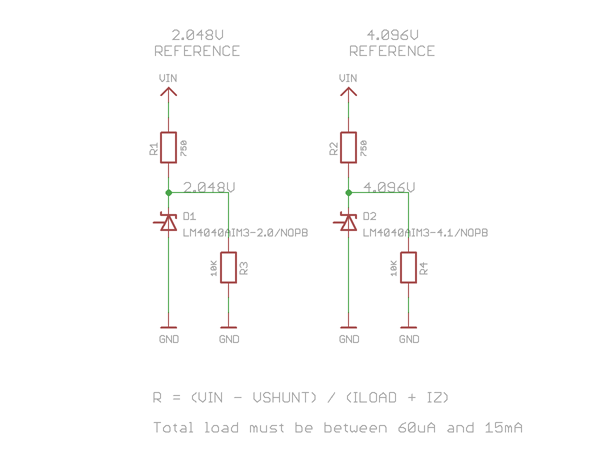 One is 2.048V (great for 3.3V reference systems) and the other is 4.096 (great for 5V). Both are 0.1% accuracy! 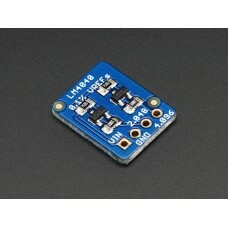 Using is easy, just power with about 5V-12V, or 3V if you want only the 2V reference to work. Then measure the voltage on the output. Note that these are not regulators - you can't power anything off the output. They are for measurements only. 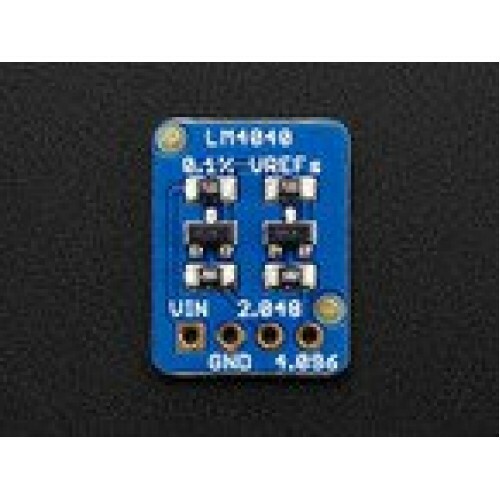 For more details, check the LM4040 Datasheet for more information. 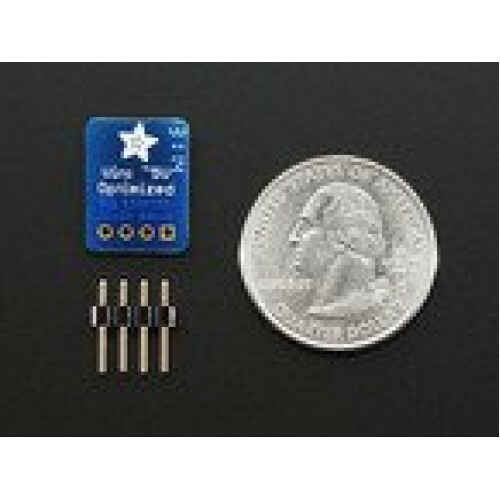 PCB Dimensions: 16mm x 12.5mm x 2.5mm / 0.6" x 0.5" x 0.1"